Linbro Business Park in Sandton, Johannesburg. The company was established in 1980, and has become a well-respected, recognized market leader in the distribution of electronic components. 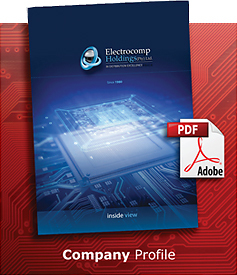 Electrocomp's main strength remains in the small to medium O.E.M.s, in the South African market. These clients demand a high level of stock availability and a fast efficient service. • Provide “complete package” solutions. • Dynamic and committed sales force.